Little L's cornrows are three weeks old and they have gotten so frizzy!!! Since she requested this style because she did not want her hair touched for a month, I decided to preserve it even longer by changing the look a bit. 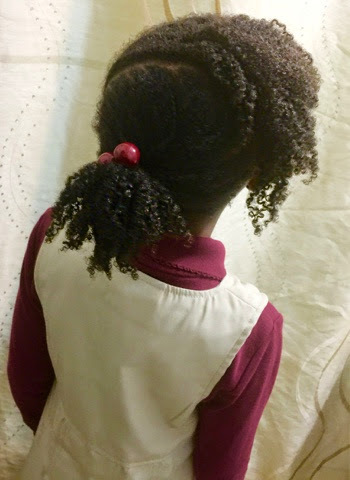 The ends were untwisted, moisturized, and twisted in big sizes using Curls' Blueberry paste. This is my favorite styler ever. 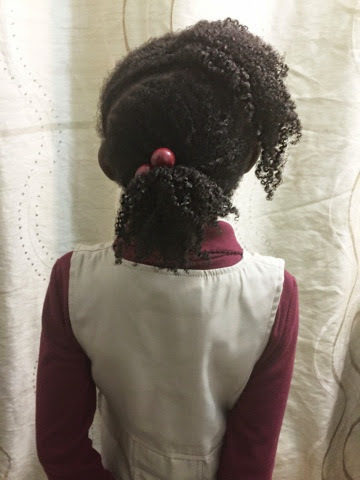 The next day, I unraveled the twists and styled them into bangs(front part) and ponytail(back portion), as shown above. 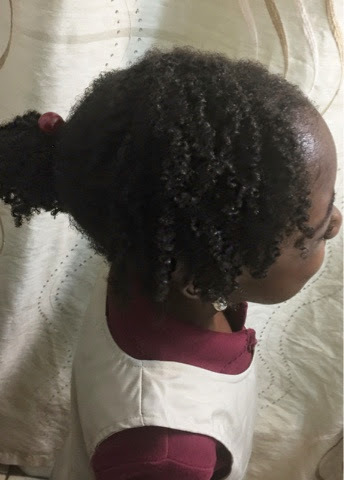 I re-twisted with no products at night and untwist again in the morning as shown.